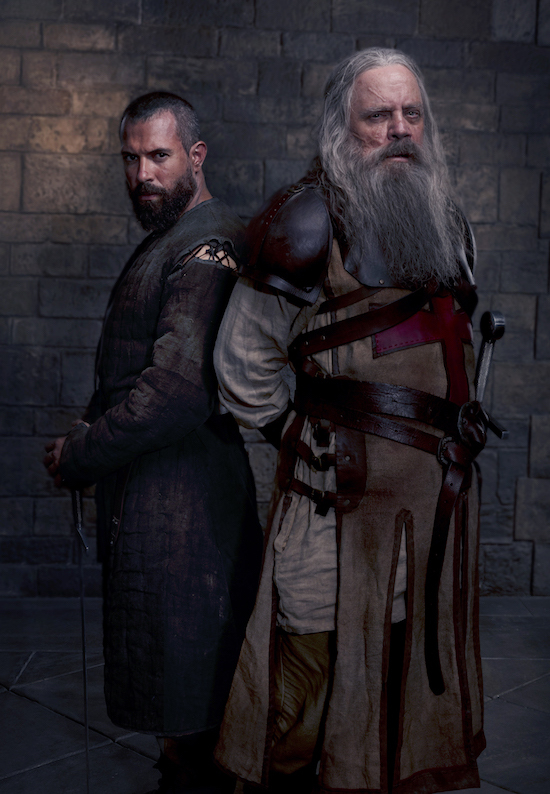 L-R_ Tom Cullen as Landry and Mark Hamill as Talus in KNIGHTFALL season 2._ Photo Credit_ Larry Horricks_HISTORY. KNIGHTFALL season 2—with new star Mark Hamill—will premiere on Monday, March 25 on 10/9c, HISTORY announced. The eight-episode season “embraces a more brutal view of this harsh time in history, and heads towards the ultimate demise of the Templar Order which occurred on Friday the 13th, 1307,” the network teases. KNIGHTFALL stars Tom Cullen, Ed Stoppard, Pádraic Delaney, Simon Merrells, Julian Ovenden, and Jim Carter. Additional new season 2 cast members include Genevieve Gaunt, Tom Forbes, and Clementine Nicholson.